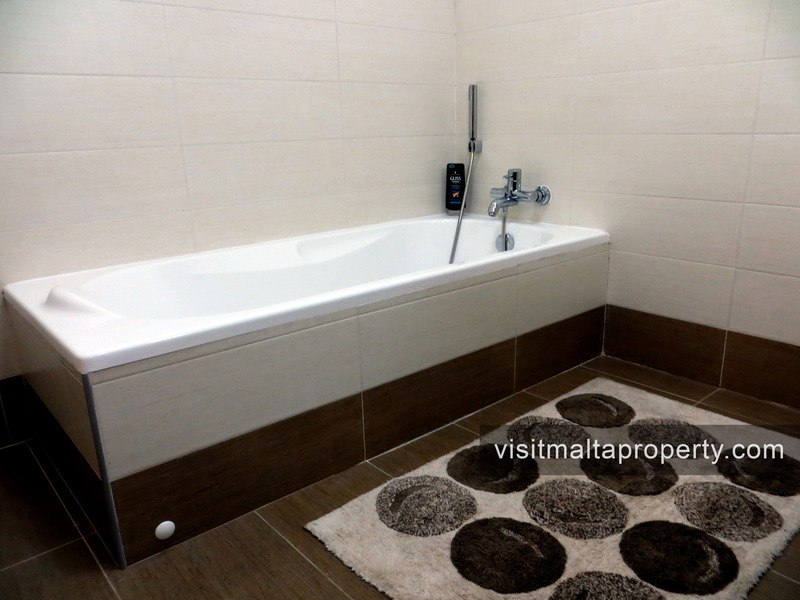 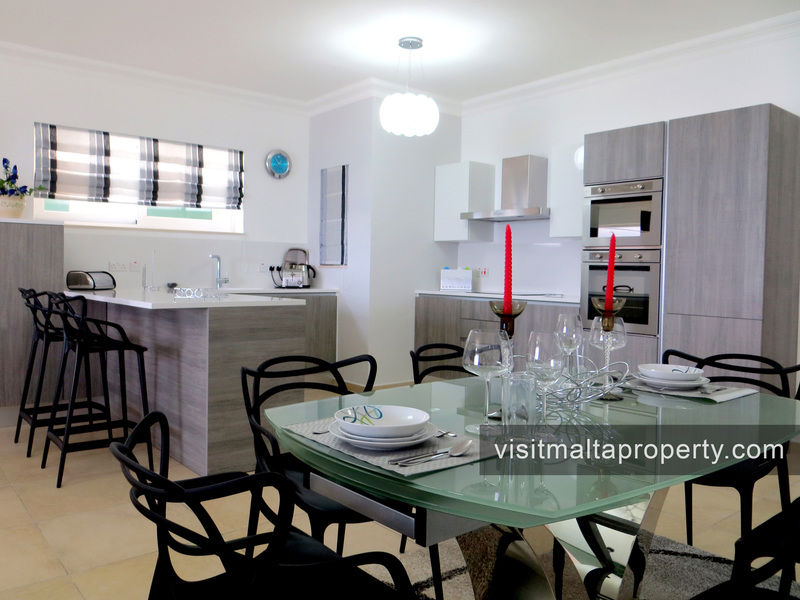 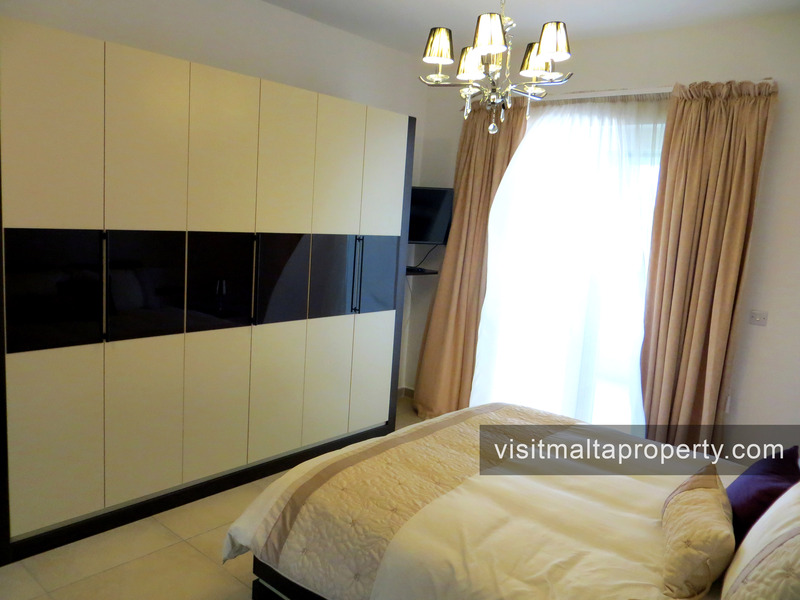 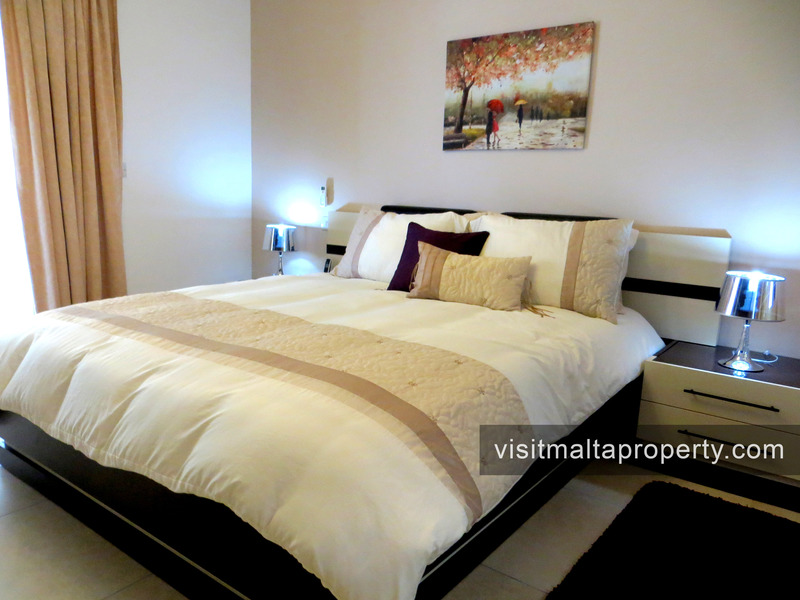 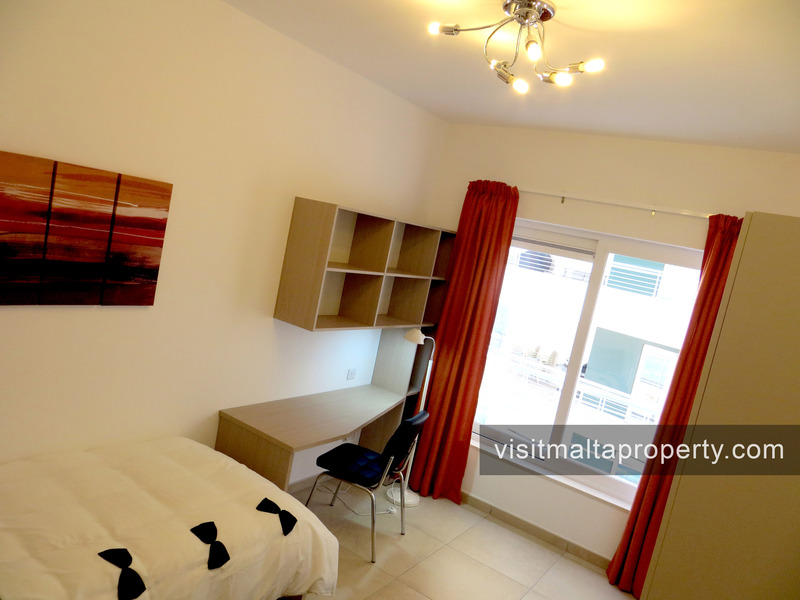 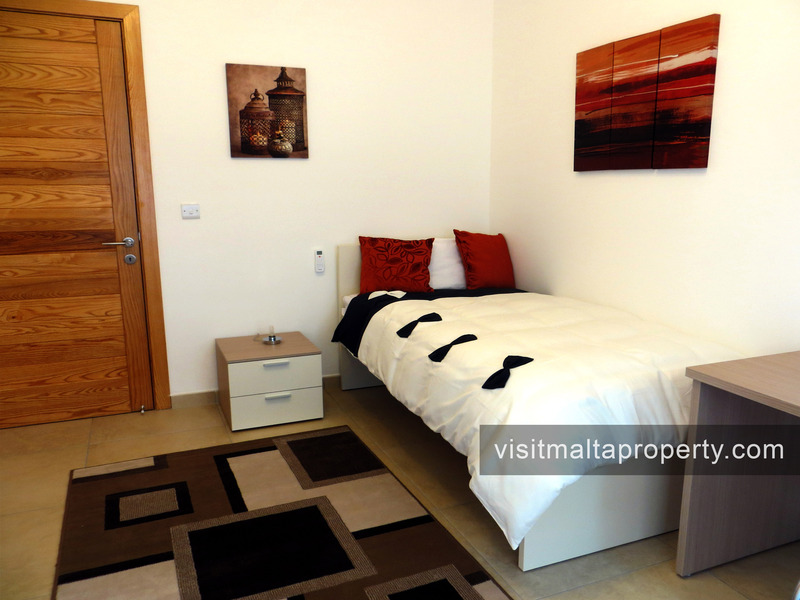 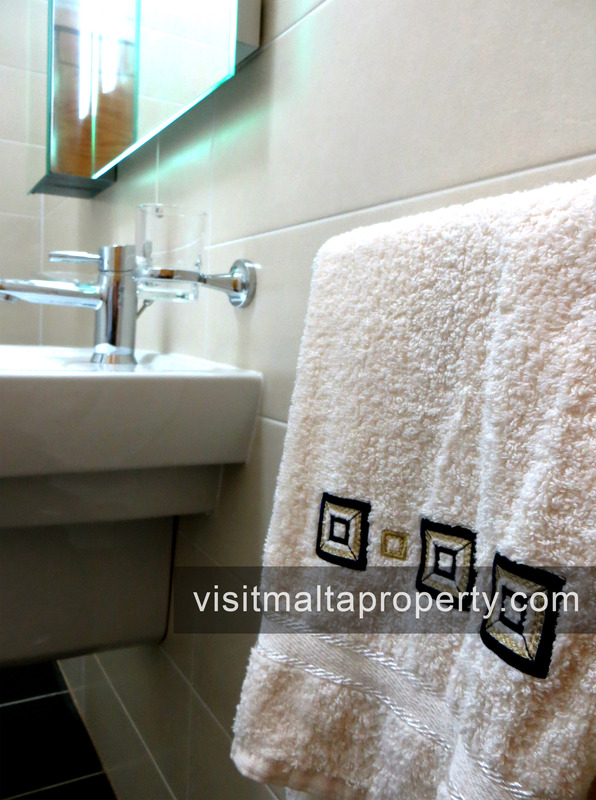 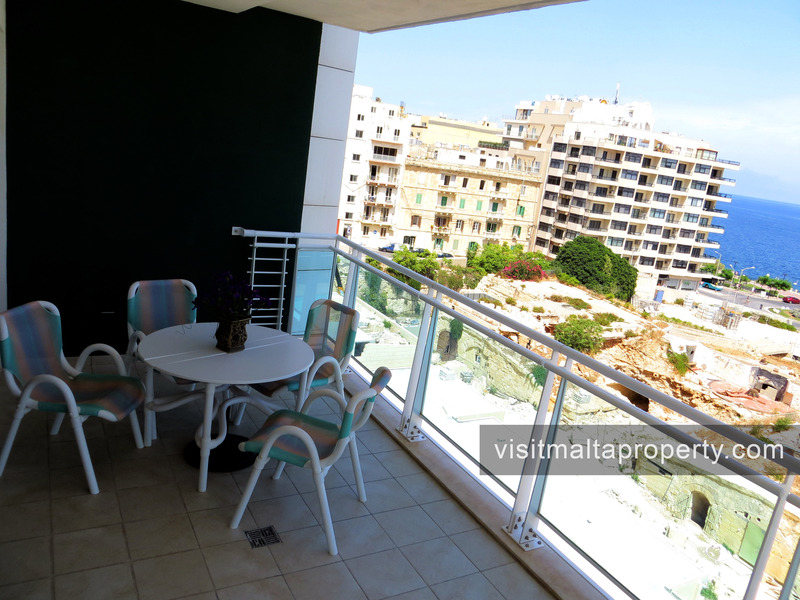 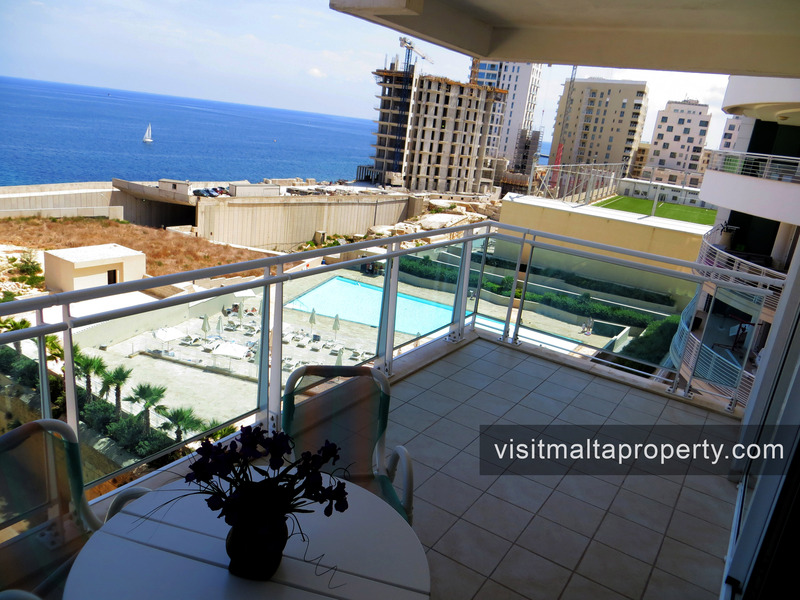 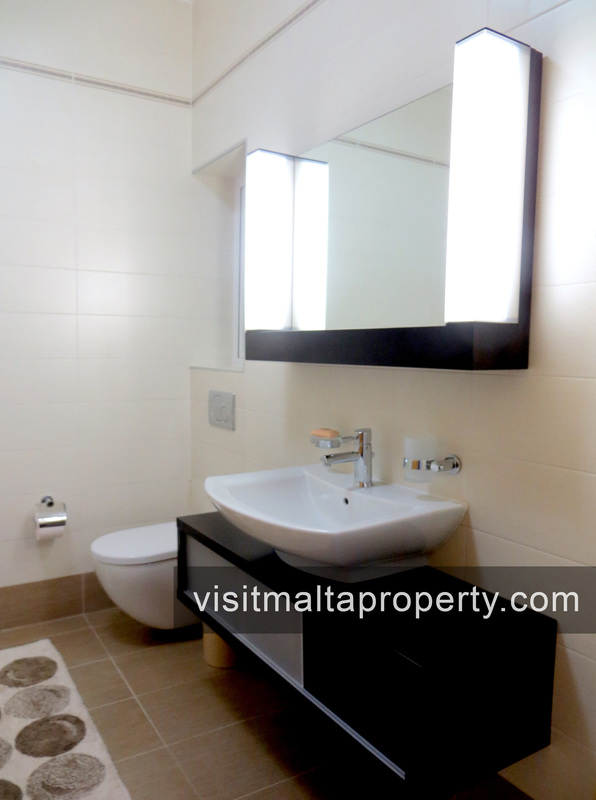 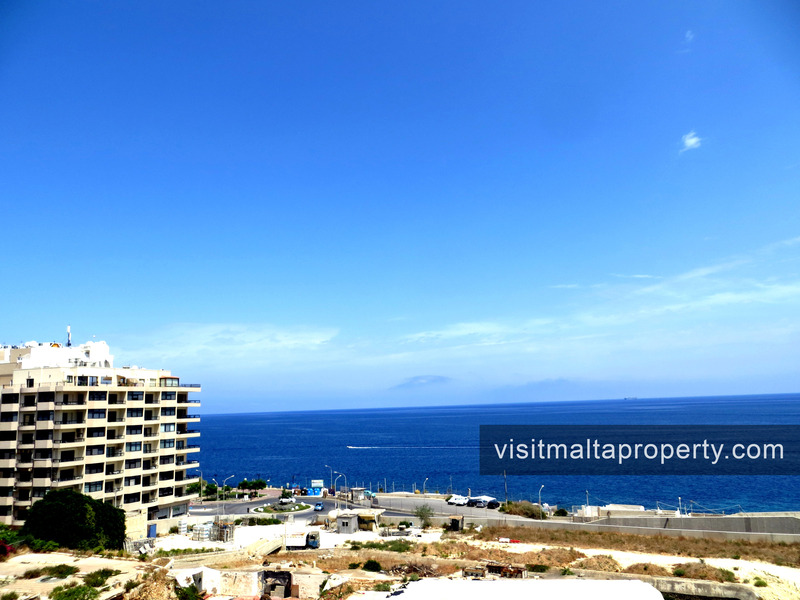 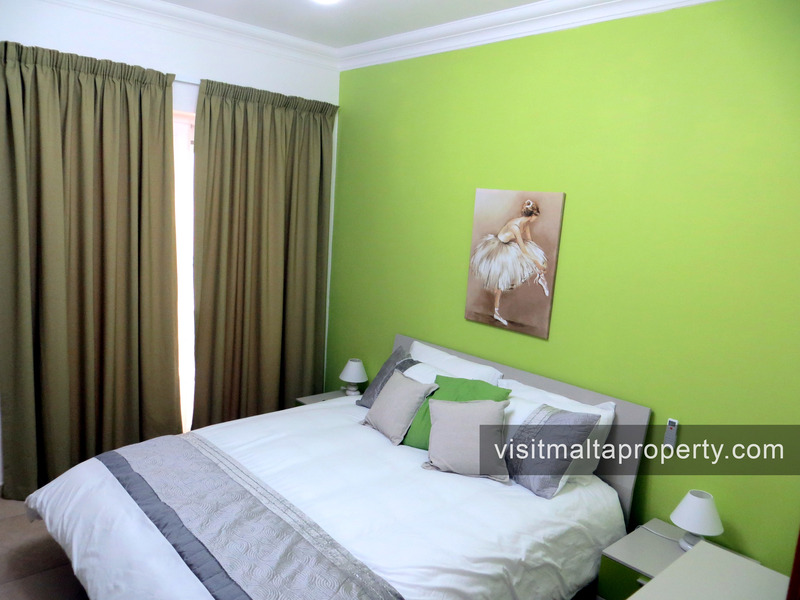 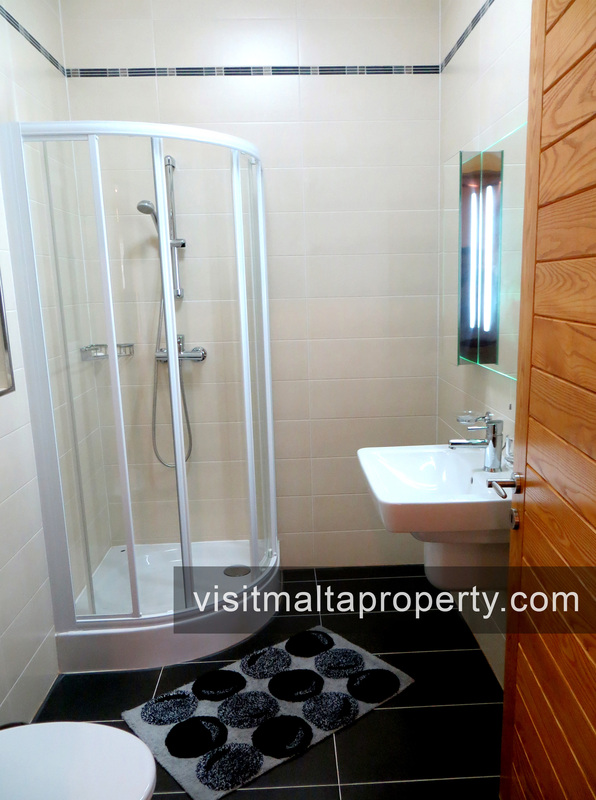 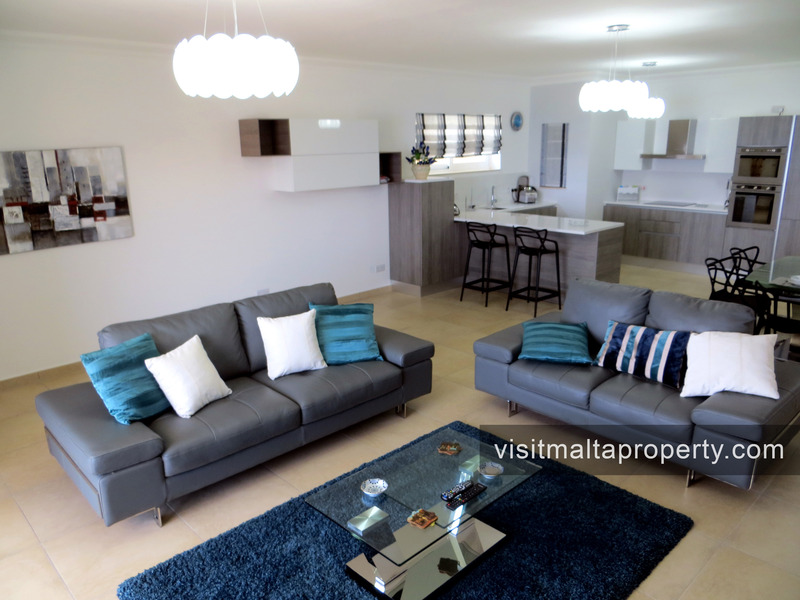 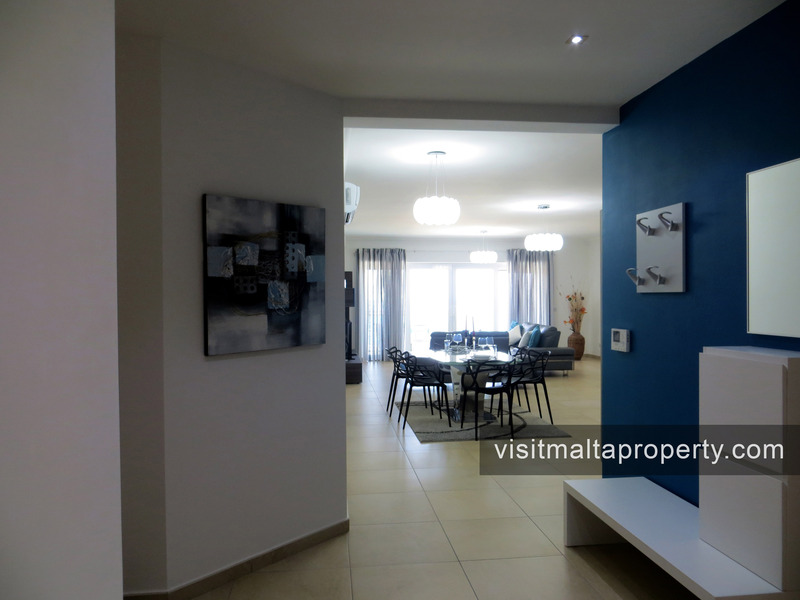 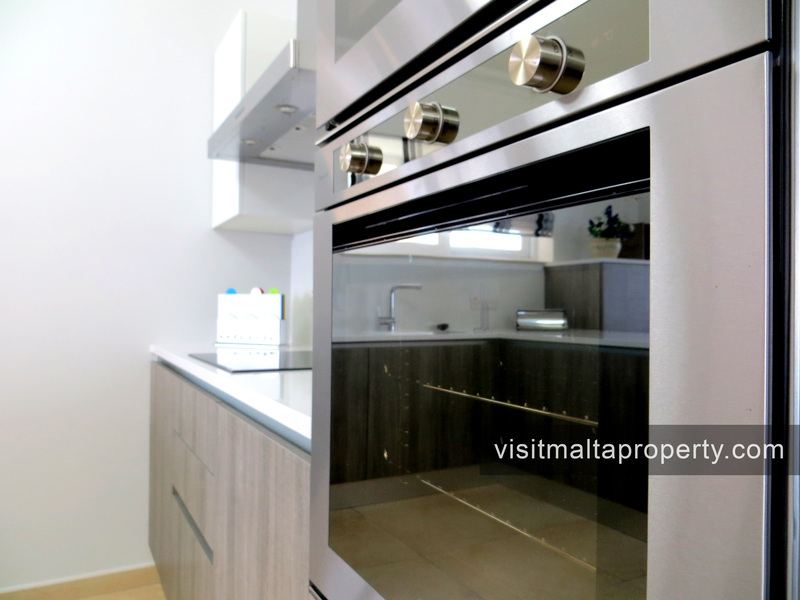 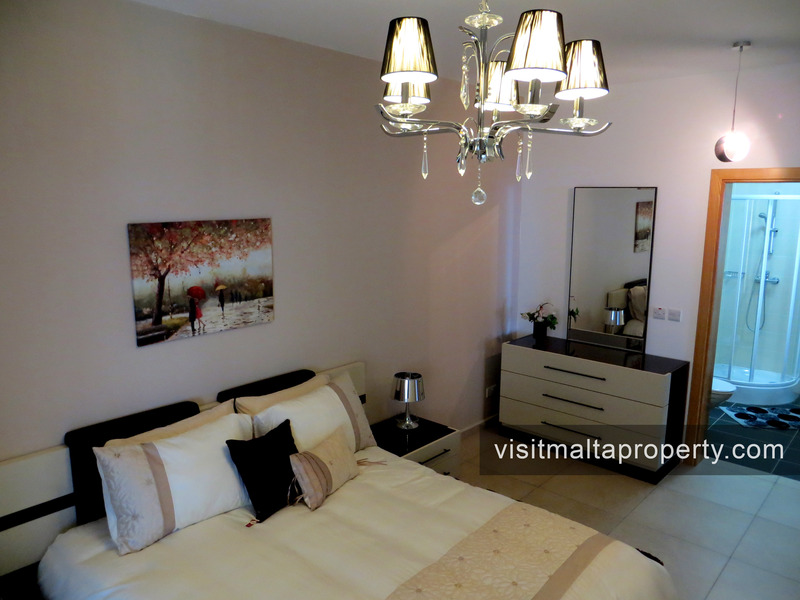 Luxuriously designer finish 3 Bed Seafront Apartment measuring approximately 200 sqm and forming part of this exclusive Fort Cambridge development, centrally located, close to the Sliema promenade, all shops and amenities. 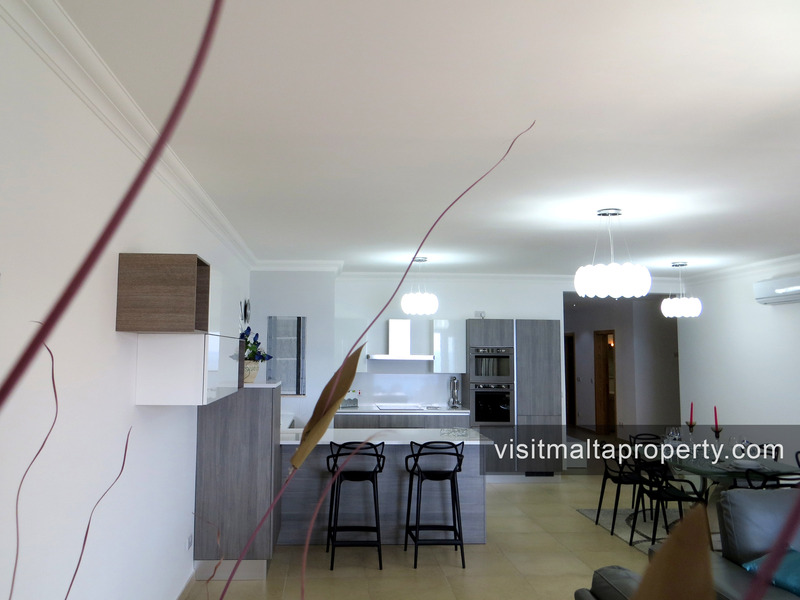 Entrance into a hallway leading onto a large open plan kitchen, living and dining room that further lead to a wide terrace enjoying unobstructed sea views. 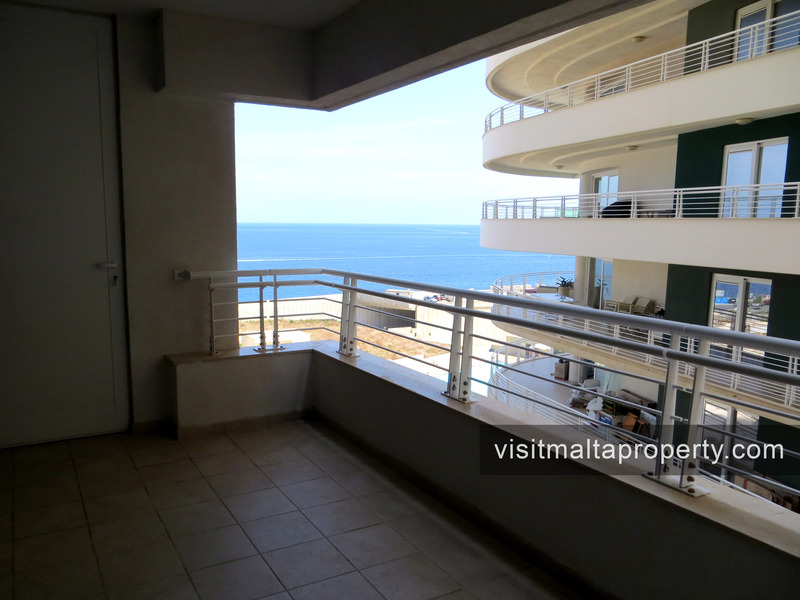 On the other side of the hallway one finds three bedrooms, main double bedroom with en-suite shower and a double bedroom leading onto a side balcony with sea views, accessible from both bedrooms. 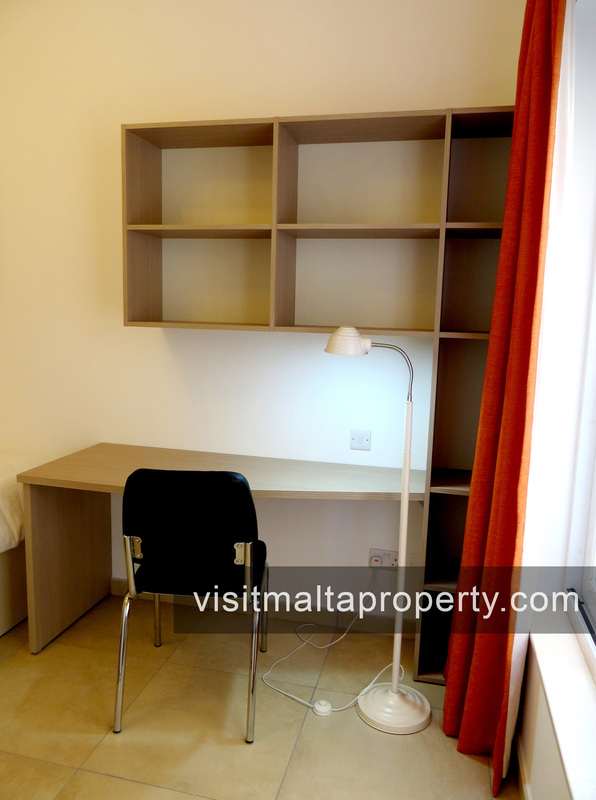 And a single bedroom with a study/desk area opposite the main bathroom. 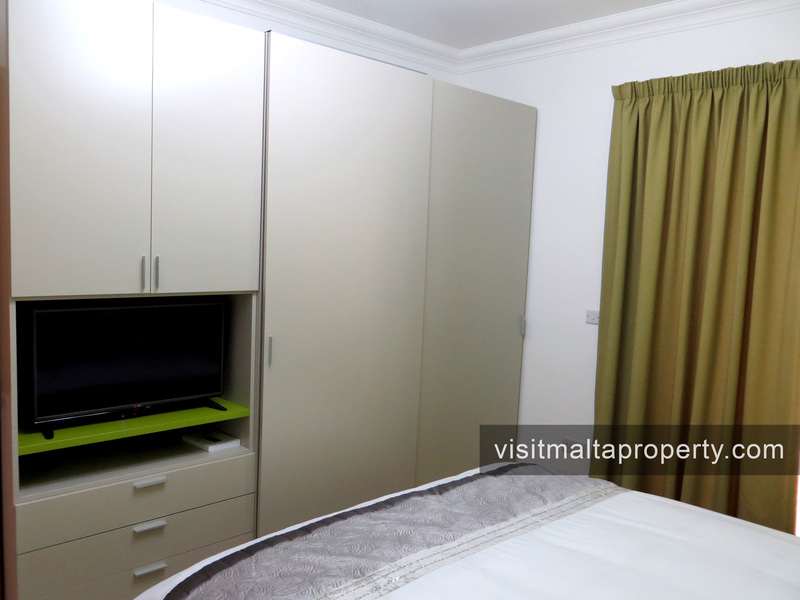 Extras include air-condition in every room, 50” flat screen TV, WIFI Internet, Cable TV, washing machine, dishwasher, microwave, TV in two double bedrooms, landline and phone connection in all rooms. 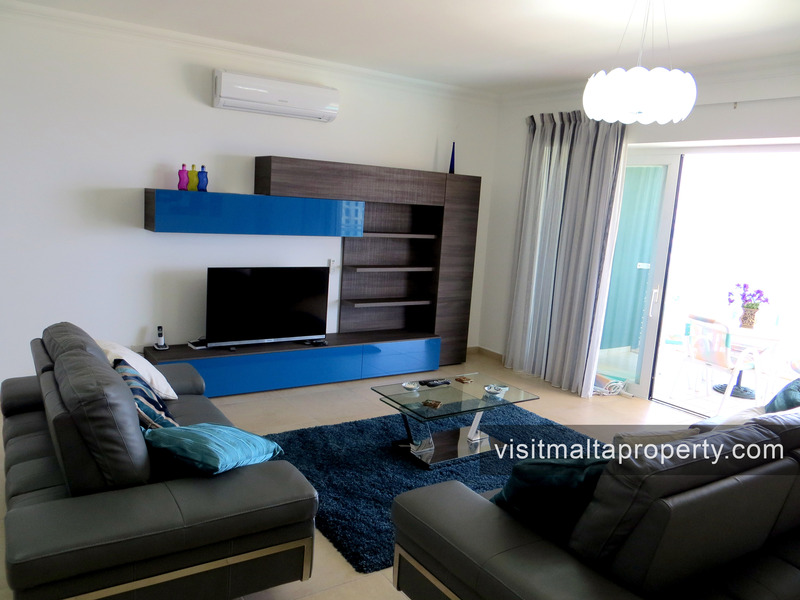 Property also includes a 1-car lock up garage, the use of a beautiful large communal pool exclusive to all residents, 24hr surveillance and a lovely paved outdoor space.